Fistuca is a young, dynamic and ambitious company that started as a spin-off of the faculty of Mechanical Engineering at the Eindhoven University of Technology (TU/e). Since 2008 Fistuca has designed and built innovative equipment for the foundation industry. 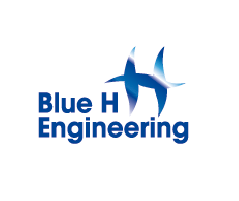 In 2011 Fistuca started the development of BLUE Piling Technology for driving large offshore piles. In 2015 the Dutch offshore heavy equipment supplier Huisman acquired a stake in Fistuca, allowing further growth. Currently operating from the Buccaneer in Delft, Fistuca is working to shape the future of the offshore energy industry.